• Enjoy swimming in the open water? • Enjoy challenging and pushing yourself? • Love combing travel and adventure? sure you can make a full crossing? • Love working in a team environment to reach a goal? • Keen to meet athletes from across the world? How about swimming the English Channel in a TEAM? 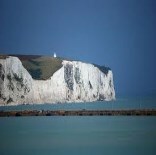 The English Channel is the jewel in the crown of international marathon swimming. Swimmers from across the globe are drawn to the shores of England to make their own journey across this famous patch of water every year. All swims will start on English shore and finish on French soil – 34km later. Chloë successfully coached 14 swimmers across 3x Relays to swim the Channel in 2014. In 2015 she successfully coached 43 swimmers to reach their Channel dreams! These included 7x Relays and 2x Solo swimmers. She looks forward to introducing you to the enormous challenge, fun and camaraderie that channel swimming has to offer. 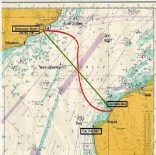 The Channel is famous for its distance, strong tides, cold water, busy shipping traffic, jelly fish, flotsam and jetsam and unpredictable, fickle weather. Are you up for the challenge of crossing from England to France in a Relay? Cousins Tours & Travel are booking relays to swim across the English Channel in 2016 & 2017. Chloë has pre-booked HIGH PRIORITY positions with the best English Channel Boat Captains. 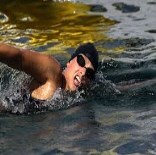 As well as personally coaching you for 12 months Chloë will also be in England with you for the Channel Swim. Chloë McCardel, has completed more English Channel crossings than any other living Australian. She has completed 6x Solo Crossings, including 2x Double Crossings. She has collected multiple awards from the official Channel Swimming Association (channelswimmingassociation.com) for the fastest solo of the season, the greatest feat of endurance, fastest swim by a lady and fastest double crossing of the season. Don’t miss this fantastic opportunity – Contact Cousins Tours and Travel for more information, dates and to register your interest. “An excellent undertaking, my participation in a successful relay crossing was the culmination of a lifelong ambition. I cannot thank Chloe enough for making it all possible. The training programs, skypes, emails, phonecalls, boat and pilot hire, accommodation bookings and positive support at camps were all first class, thoroughly professional but more importantly were from someone who has been there and done that and is wildly and exuberantly passionate about channel swimming. Co-opting Paul to be our On Board Team Manager for the swim was also one of the best decisions our team made. His experience, skill and professionalism were world class and his contribution to the successful crossing was huge.